Online videos are highly popular and get posted in two forms on third-party websites. Videos can be embedded on a web page so that they can be watched directly on the page, or posted as a link that redirects users to the video portal to watch it there. The second option can become annoying if multiple video links are posted on a page which ultimately would mean to click through multiple times to the video hosting site. The Videoembed userscript tries to change that by turning links pointing to videos on 44 video hosting sites into embedded videos on the same page. This alteration happens directly on the page the links are posted on without limiting the user experience on the site. Below is an example from Kottke.org. The first screenshot is showing the original page with the YouTube video link, the second the same page with the userscript enabled in Firefox. As you can see, the userscript changed the link to the embed code that YouTube uses automatically so that you can watch the video directly on the site without leaving it. The userscript supports many of the most popular video hosting sites, among them YouTube, Metacafe, Veoh, Gametrailers, Ustream or MySpace. The script works globally and will embed the video if it is hosted on one of the supported video hosts. The userscript works in Firefox if Greasemonkey is installed and in Google Chrome as well. It is likely that it will work in Opera and other userscript supporting browsers as well. It can be downloaded from the userscript website. Update: The author of the script has released an update to it in 2014 that adds support for additional websites to it. While it should work fine most of the time, it is likely that you may run into compatibility issues on some sites considering that it has not been updated in the past two years. Still, it works fine on most sites that it supports and may save you some clicking when it comes to watching videos that are linked on web pages. Since it is a userscript, it is theoretically possible to edit the list of supported sites to fix broken sites or add new sites to the mix. 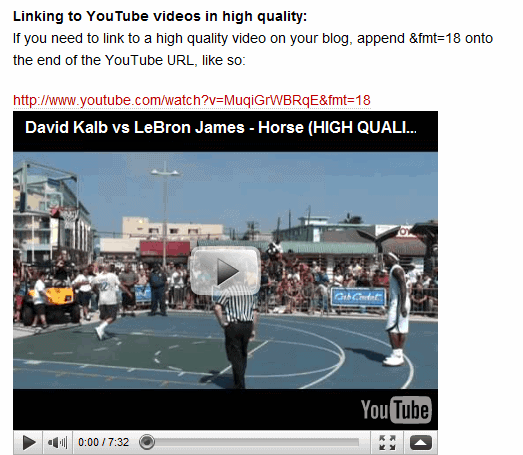 Thanks for sharing this userscript to let me view online videos directly on linking websites.